Evernote is a way to get organized. It is a great, free resource that allows you to easily capture information using whatever device or operating system you use. It then makes this information accessible and searchable from anywhere. Their tagline: “Remember Everything.” It is a digital notebook that allows you to take text notes, clip web pages, upload images and files, and much more. You can capture task lists, notes, web pages, white boards, business cards, pictures, and even clip web pages or parts of webpages to Evernote. It is easy to use, very powerful, and there are plenty of places to get help using it. You can download a desktop version of the software, for free, which will sync to the Evernote web server, or you can just access it through the internet on their web page. 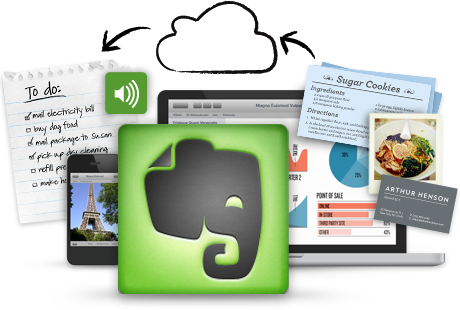 The desktop software can also export your Evernote data in multiple formats. You can also access it through a mobile device.